The dream of owning a luxury watch has always seemed like a universal aspiration. But, as with all the important decisions we make in our lives, the prospect of investing in the right timepiece comes neither swiftly, nor easily. There are a million and one considerations; and the fact that there are hundreds of high-end brands in the market today makes it all the more difficult a decision. Throw the fake high-end industry into the mix, and finding a trustworthy dealer can be much harder than it looks. 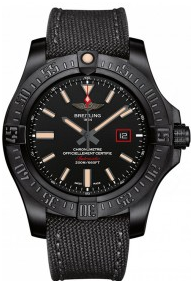 In India, top-line watches come hassle-free, thanks to Breitling Watches stores like Ethos Watch Boutiques and others coming up. From knowing which brand best befits your interests, to trusting your dealer, the process of procuring a luxury watch is quite a daunting task, albeit one that pays off. The specific benefits of possessing a luxury timepiece differ from person to person. While the financial vantage is obvious and universal, the latent, deeper values change depending on what it really means to different people. 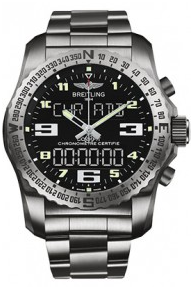 For an aviator, a Breitling Navimeter might be the ultimate desire –a professional precision tool to aid them in their adventures across the skies. 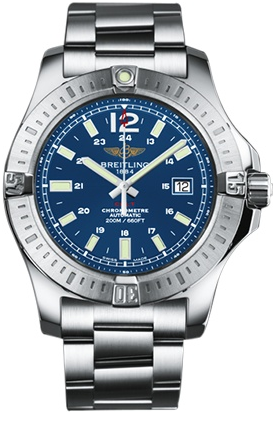 A diver might seek out a Breitling Avenger II Seawolf, as the formidable diver watch holds its own even 3000 metres underwater. 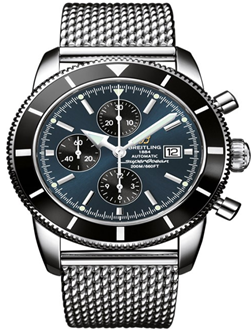 One hardly needs to repeat the financial benefits of investing in a luxury watch –given you’re investing wisely in high-end brands like Breitling or Rolex! But, just to reiterate, the most pronounced reason people tend to invest in luxury watches is because they’re a sound financial investment –an ‘alternative’ investment, if you will. The reason for that stems mainly from the fact that the value of a watch has a low or negligent correlation with other financial forces at play e.g. stock markets, and thus timepieces are at a safe distance from the financial fluctuations of the world. 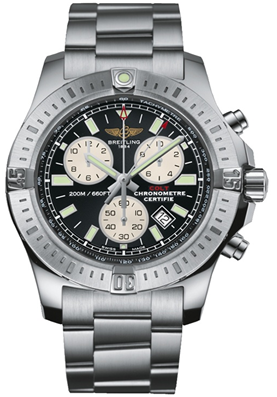 A luxury timepiece bought today can have a greater resale value in the years to come. But there’s more to it. While businessmen love all things remunerating, a watch becomes doubly appealing, simply because it’s tangible. Sure, investing in the stock exchange might have a great payoff, but can a stock sit beautifully clasped around your wrist? I think not. For those who love to wear their money where people can see, a luxury watch is…well, bang on the money! And let’s be honest, in business and social circles, more often than not, your appearance matters the most. Especially in the world of business, where your confidence, ambition, poise, and status reflects in the way you carry yourself, a luxe timepiece can be the perfect symbol of wealth and power. While fancy cars and jewels may serve the purpose just as well, luxury watches give a more subtle way of standing out. Just as businessmen love coming out on top of their game, luxury watchmakers operate under the highest standards of excellence in craftsmanship. Each model that comes out of the house of Breitling and other top line brands undergoes hands-on scrutiny. Clasping the finished product around your wrist is a testament to excellence in every regard. A luxury timepiece evokes a sense of exclusivity. Considering the impeccable craftsmanship of luxe models, it’s reasonable to say that there are only so many out there. Owning one, therefore, becomes a sign of elite exclusivity. Luxury timepieces hold a valuable spot in the market and are easily recognized, respected and appreciated by the discerning eyes of society. Adorning a high-end timepiece can be a great way for businessmen to establish their place in the exclusive, inner circles of the biz world. Ultimately, a luxe timepiece is just that –luxury in its most beautiful and sophisticated form, lavishly wrapped around your wrist. Srinidhi, stop being a rent boy for these nonsense products. A measure of a person should be what s/he does in their daily life and not what s/he wears. When you accept money and publish such nonsense written by an ad agency, you earn money but are selling a piece of your good name earned through honest writing. You have not even marked or noted anywhere that this is paid content or sponsored. I will be complaining about this to authorities for sure. I am willing to respond to this if the comment can be made with a verifiable identity. Lovely Pet animals at Suryagarh, Jaisalmer! 6 new features desparately needed on Google maps! HongKong vs Singapore-Which city to visit?